How I survived my first year in France, I’m not quite sure. What could be better than a road trip through France? Sure you can take the train, you can ride a bike, you can even go on horseback but to get to the charming villages with great food and culture you probably want to pack your bags into the boot of a car and set out on the open road. 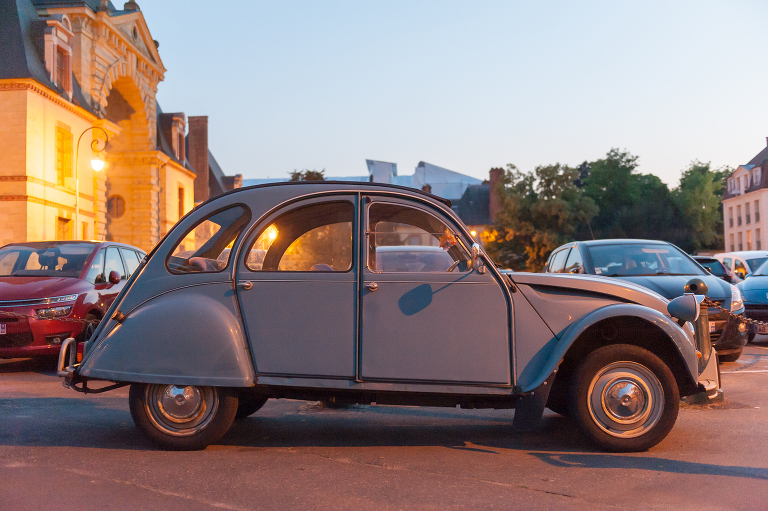 Why am I shocked I lived to tell about my first year of driving in France? No, it wasn’t driving manual, though I wasn’t terribly good at it to be sure. I’m even a little surprised the association I was working for at the time even allowed me use of the cars after accidentally saying on a few occasions, “ça m’énerve.” No, I didn’t mean to say I was angry, what I meant to say was that I was nervous after years of not driving standard but my rusty French at that point didn’t pick up on the error right away. Who wants to let the “angry” girl take the wheel after all? And no, it wasn’t even the time when my parents added my name to their rental car when they visited and I insisted on driving us to my house since I knew the road. It was rather treacherous up our mountain driveway complete with MANY hairpin turns. At least I was used to being a passenger going up it, right? It wasn’t even my mother’s words, “Once we go down the driveway, promise me we’re not coming back up again.” No, I kept driving all through the skinny winding roads of Gorges du Verdon, Provence, across the Pyrenees, into Andorra, the Basque Coast and down to Spain before driving back across the mountains to the Mediterranean coast and still… I wasn’t worried for my life. It wasn’t even in question until maybe a year or two after all that. 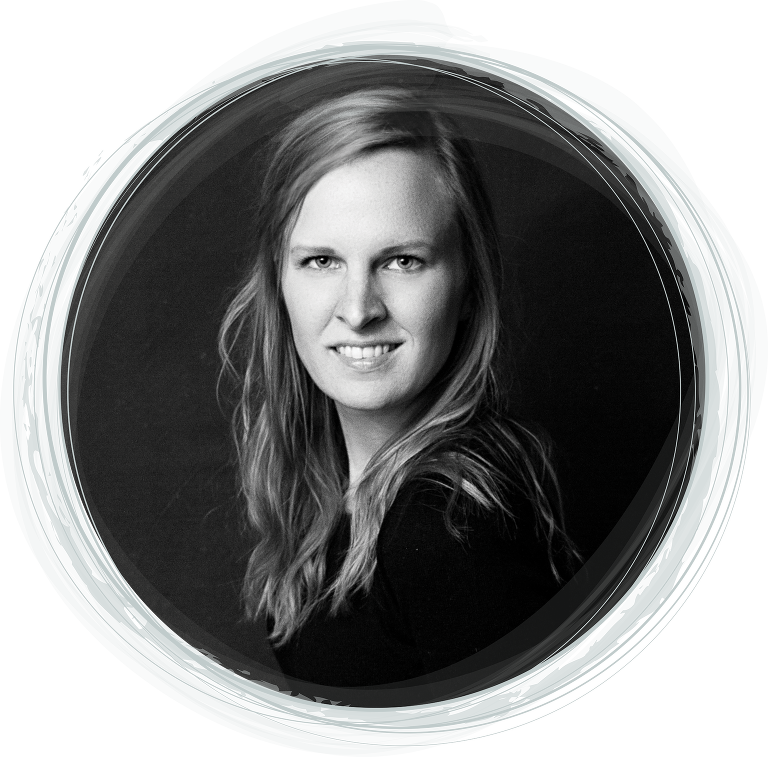 I was driving Jeremie’s car into the neighbouring village when he burst into something to the effect of “careful!” or “stop!” What the words were exactly, I can’t remember, I just recall his knee jerk reaction and my being completely puzzled. There was no stop sign, no light… What was he in such a panic about!? As it turns out, rules around here are pretty different from what we’re used to in most of North America so before you decide to get online and book a rental car for your next French road trip, you might want to read on for 5 tips to keep you from being the idiot on the road. Have you ever seen these signs? Right what!? Right priority. There’s these lovely little sign all over the place. Sometimes it’s below a traffic light, other times it’s seen with the city limits signs or for the one-time priority (or not) they’ll be found just before an intersection. 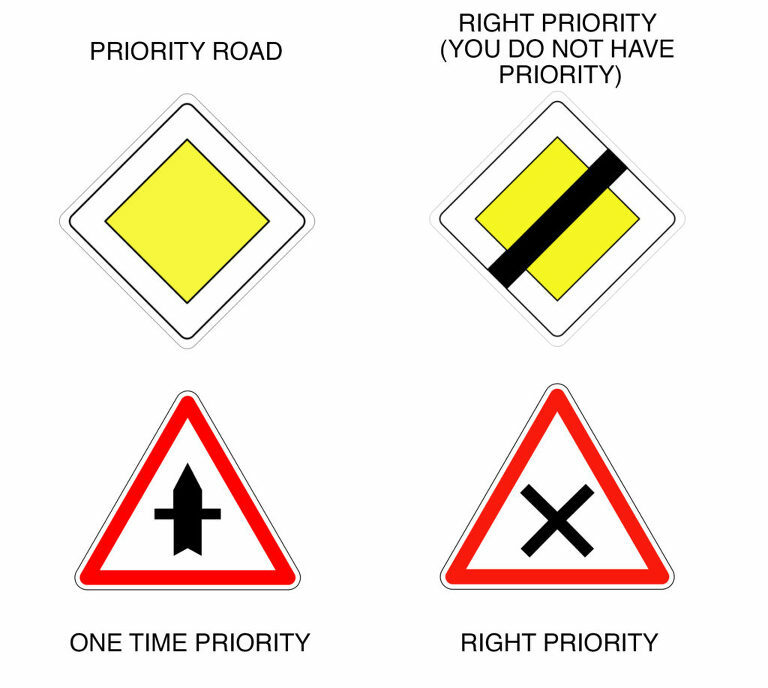 In any case, a yellow diamond means you have the priority, other roads will yield to yours. If it’s got a strike through it, then it means you must yield to all traffic coming from the right-hand side… yes, even if you’re going straight you must stop and let the car from the right go first even in the absence of a stop or yield sign. 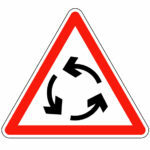 Most of the time as you are entering a roundabout you must wait your turn to get in (this is considered a modern roundabout) and you’ll usually see the sign above as you’re approaching. Some roundabouts, however, follow an old style where drivers in the roundabout yield to those entering from the side streets. That’s right, anyone entering has priority over all cars already in the roundabout. The most famous of which is the one going round the Arc de Triomphe in Paris and ALL accidents here are considered 50/50 blame because of how many happen. So go slow, breathe deep and just let everyone go in front of you. Usually, you’ll know if it’s an old style if there are perpendicular lines inside of the roundabout as you’re coming towards an intersection (new styles should have them as you are driving up to the roundabout or the sign above.) Note, these are most often in cities so Paris has more than one and you aren’t likely to see them on country roads. Sometimes they’re marked other times not at all. But as a general guide, this is what you can expect. There are speed cameras everywhere (usually you’ll see signs letting you know they’re coming) and anything over the limit puts you at risk of a fine. If you’re lucky, your rental car will have a GPS that will indicate the speed limits because admittedly, they aren’t always easy to follow and they do change frequently. Okay, incessantly. There’s no traffic and the light is red. Don’t even think about making a right turn. While I love being able to make a right-hand turn on a red in North America (except Quebec Montreal) here it’s a no-go. Wait until your light turns green. Or maybe you’ll be extra lucky and come across a solid red with a flashing amber arrow. No, your eyes aren’t playing a trick on you. It’s about the most confusing light you’ll come across and I usually panic anytime I’m in the passenger seat because I’ve seen the red, and not the arrow. It’s just a strange way of telling you to proceed with caution in the direction of the arrow. No stopping required. 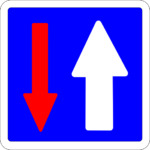 If you’ve seen this sign it means that the bigger arrow has priority through single lane areas. If you’ve got the thinner of the two, wait your turn until all traffic has passed and you can safely get through. Sometimes the road will narrow several times in a single road just note that in this case it often switches from side to side. So how about you? Have you ever driven through France? Did you come acrross some of these confusing signs? Did I miss any? Or are you dreaming about taking the leap for the road trip of a lifetime and if so what is high on your must-see list? As always, if you have any questions or comments leave them below!